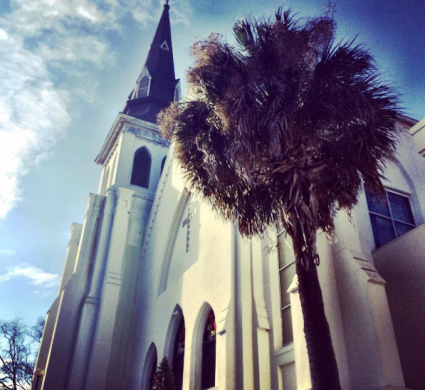 If there is one thing that Charleston, South Carolina offers in spades, it’s their beautiful and historic churches. 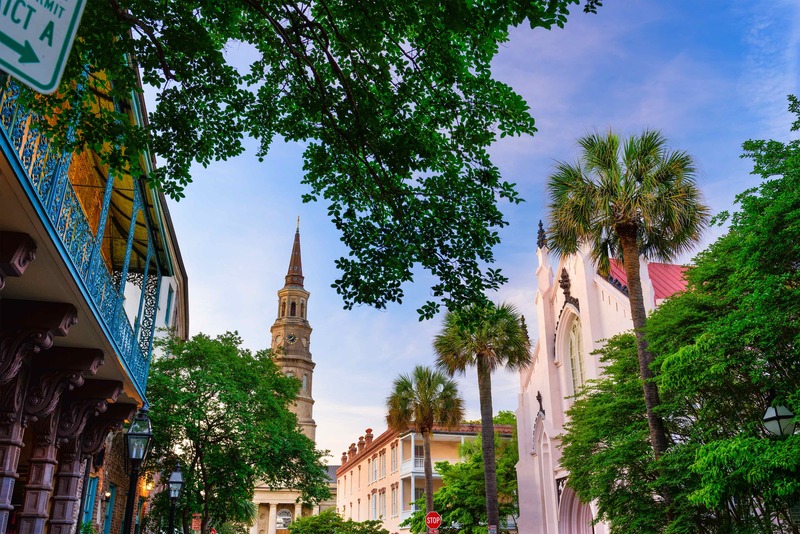 Commonly referred to as the “Holy City”, Charleston features some of the oldest churches in the United States, attracting millions of tourists each year who wish to see the gorgeous steeples that dominate its skyline. The beautiful architecture of these churches is just one of many reasons why people choose to visit and reside in Historic Charleston. The rich stories behind them is equally as captivating, and each of these historic churches has a unique story to tell. If you plan on visiting or relocating to the Holy City, the stately churches are a must-see. With this insider’s guide, you can explore Charleston’s most significant churches and learn about the history that has shaped the city’s culture to this day. 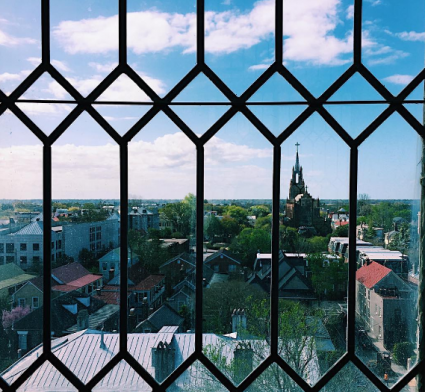 Charleston was dubbed the “Holy City” not because it was particularly devout. Rather, the moniker stems from the city’s reputation for practicing religious tolerance—a rarity among the original 13 colonies. The history of religious freedom traces back to when Charleston was first settled and efforts to craft a constitution began. In 1663, King Charles II gave the Carolina Territory to eight loyalists, who were known as the Lords Proprietors of Carolina. After a few failed attempts at settling the area, the Lords finally managed to settle Charles Town (later to become Charleston) at Albemarle Point in 1670. Anthony Ashley Cooper, First Earl of Shaftesbury, was one of the eight original Lords and a pronounced liberal. Cooper was deeply interested in the plans for the new colony and collaborated with his friend and secretary, John Locke, to create the Fundamental Carolina Constitution. 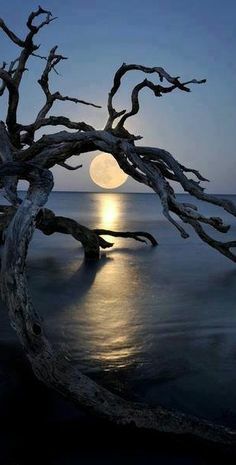 In this constitution, residents of the Carolinas were granted considerable religious freedoms that would come to attract many who wanted to practice their faith in peace. 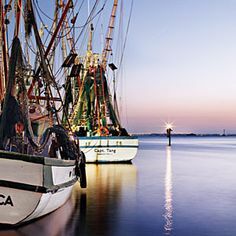 By the mid-18th century, Charleston had become a bustling seaport which attracted many migrants of diverse backgrounds and religions. This religious diversity led to the creation of many stunning churches that are admired today for their magnificent architecture and distinct accents, as well as their rich history. 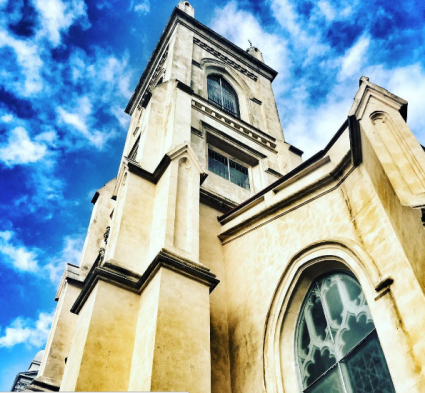 Many of the historic churches that are scattered throughout Downtown Charleston have survived earthquakes, fires, hurricanes, and more. Despite these hardships, the buildings have remained well-preserved and the fascinating architectural designs can still be admired. From Romanesque pillars to Gothic-inspired styles, each church offers distinctive accents that make them unique. 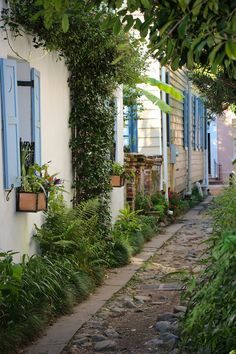 As you explore Charleston’s historic churches, you will also get the chance to experience the charming neighborhoods located in the Historic District. This guide will walk you through some of the must-see churches that reflect Charleston’s diverse roots and unique culture. Stroll along Archdale street and you will find the Unitarian Church, the second oldest church on the city peninsula and the oldest Unitarian church in the South. It was made a National Historic Landmark in 1973 so that others could enjoy its Gothic style beauty for years to come. Construction of the church first began in 1772 when members of the Circular Congregational Church needed additional space to worship. Construction was halted in 1776, when the Revolutionary War broke out, and the church was used to quarter America militia and later British militia when they occupied the city. Completed in 1787, the church was later modernized in 1852 by Charleston architect Francis D. Lee, who designed the building in a style that is now referred to as English Perpendicular Gothic Revival. The Charleston Earthquake of 1886 managed to shear off the top of the Unitarian Church, requiring further remodeling by Boston architect Thomas Silloway. 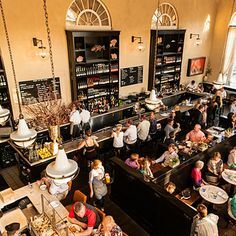 Take in the beautiful painted glass windows and look high above to notice the stunning tray ceiling. Don’t forget to visit the church grounds, which is famous for its wild foliage and quiet sanctuary. 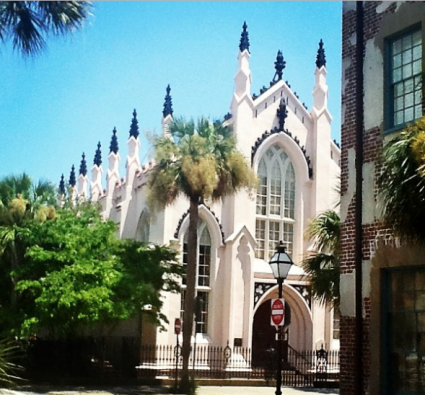 St. Michael’s is the oldest surviving church building in Charleston. Located at the corner of Broad and Meeting street, it is one of the few city churches in the U.S. that has remained relatively unchanged from its original design. Built between 1751 and 1761, St. Michael’s Episcopal is located at the site of the original St. Philip’s Episcopal, which moved to Church street to accommodate its growing congregation. The original architect is unknown, but others have noted that the style is similar to that of English architect, Sir Christopher Wren. With its 186-foot high steeple and grand two-story portico, the church is a majestic sight to see. The inside of St. Michael’s is equally as captivating, with a beautiful Victorian-style altar and chancel rail of wrought-iron. Although the inside has modern touches, much of the church remains original, including the Ainsworth-Thwaites clock, which may be the oldest functioning colonial clock in America. The cedar wood pews are also original, and President George Washington himself sat in pew No.43 when he worshipped there in 1791. Near the base of the pulpit, you can see a scar from the Bombardment of Charleston in 1865, in which Union forces targeted St. Michael’s with guns and shells because it harbored Confederate troops. 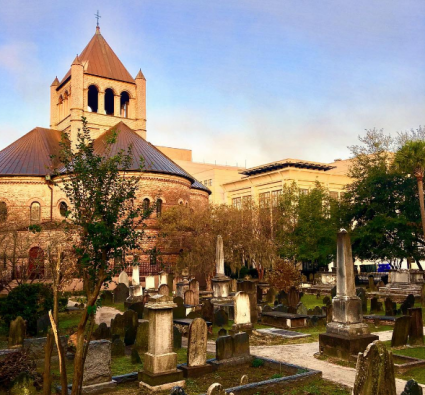 Also be sure to check out St. Michael’s Churchyard, which is the resting place for notable figures that include two signers of the Constitution and a supreme court justice. Located in the beautiful French Quarter neighborhood, the French Huguenot Church is another prime example of religious tolerance in the Holy City. Built in 1845, it became a refuge for French Protestants looking to escape religious persecution by the French Catholic Court. To escape cruel treatment under King Louis XIV, French Huguenots fled to America to settle in the colonies. The English didn’t mind this at all, due to the fact that many of the French refugees brought valuable skills which helped the colonies flourish. By the late 17th century, the first French Huguenot Church was established on what is now the corner of Church street and Queen street. This church was destroyed to stop the spread of a fire and was later rebuilt in 1800. In 1844, the church was rebuilt to give it the Gothic Revival style architecture that was popular at the time. 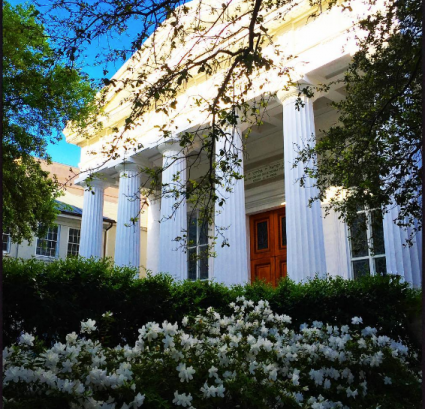 Although the Bombardment of Charleston and an earthquake damaged the building, it retains much of its original structure. 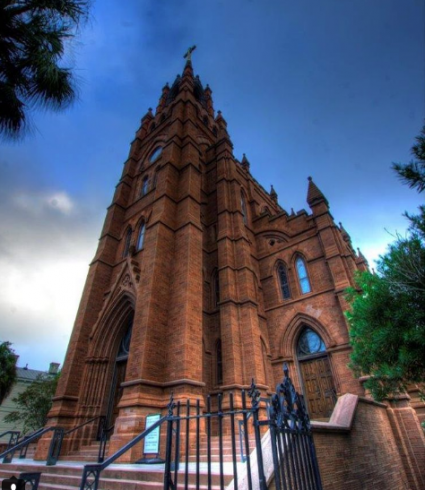 Designed by notable architect, Edward Brickell White, the buttresses and pointed arch windows are indicative of the Gothic Revival style, which was the first of its kind in Charleston. When you look inside, ask about the history of the tracker organ, which was purchased in 1845. 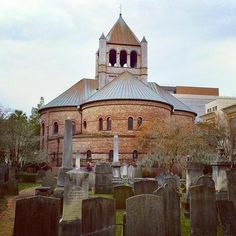 Also located in the French Quartet neighborhood is St. Philip’s Church, the first Anglican church established south of Virginia and one of the tallest buildings in Charleston. The congregation first formed in 1681, making it the oldest congregation in South Carolina. St. Philip’s was originally built in 1681 at the corner of Meeting street and Broad street (now the present site of St. Michael’s), but a hurricane damaged the fragile wood building. Starting in 1710, the church was rebuilt a few blocks away on Church street, and construction was completed in 1723. In 1835, a fire burned St. Philip’s to the ground, resulting in the third and present church structure. Designed by architect Joseph Hyde, the church has unique features in both the interior and exterior, such as the three Tuscan porticoes and the beautiful Corinthian arcades inside the church. Tour hours are given by volunteers and may vary, so it’s best to call ahead if you would like a tour of St. Philip’s Church. The graveyard across the street from the church contains many notable people, including statesman John C. Calhoun and famous author Dubose Heyward. It’s also a good location to take a photo of St. Philip’s church so that you can capture its impressive steeple. Built in 1681, the Circular Congregational Church was the first independent church of Charles Towne and has a long history of standing for political and religious freedom. Considering the hardships that the church has weathered in its past, it has certainly earned its place as a National Historic Landmark. The Circular Church was founded by Protestant “dissenters” with the original settlement of Charles Towne. These dissenters established a White Meeting House in 1732, which would later be called the Meeting House. The street leading up to it was named Meeting street in its honor. It was considered an unusual church in the colonial period and a place to express revolutionary ideas and thoughts. Unfortunately, this love of freedom landed some members in exile when the British occupied Charleston in 1780. Members regrouped after the British evacuated and by 1787, they needed to build a second space to accommodate their growing number. The church decided to replace the Meeting street house and hired architect Robert Mills, who designed a Greek-inspired building that could hold 2,000 worshippers. In what is referred to as the “glory days” (1820-1860), the Circular Church had many black and white members. After a fire destroyed much of the church, some black members decided to break off and form the Plymouth Congregational Church. The new meeting house was built in 1890, designed with a Romanesque style that encapsulated the fiercely independent and nonconforming nature of its members. With its unique circular vestibule and round dome, the Circular Church has many distinct architectural accents that can be admired from outside and within. 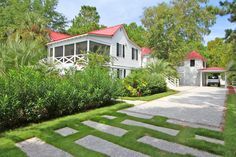 Pay a visit the burial grounds, which are the oldest in Charleston and contain 18th century gravestones that offer a look into the history of the first settlers and their struggle. Built in 1891, the Emanuel African Methodist Episcopal (AME) Church is the oldest AME church in the South and the oldest African American congregation outside of Baltimore. The church is located on Calhoun Street and is not only admired for its Gothic Revival style architecture, but also for its history of persisting in the face of discrimination. The first congregation formed when free blacks and slaves came together in 1791. In 1816, a dispute over burial grounds caused black members to officially withdraw from Charleston’s Methodist Episcopal church. They decided to form their own congregation and start the Emanuel African Methodist Church, which consisted of 1400 members under the leader of Morris Brown. Due to laws that prohibited blacks from operating a church without white supervision, Brown and other church leaders were arrested. In 1821, Denmark Vesey, one of the church’s original founders, began to plan a slave rebellion. The slave revolt plot was uncovered by authorities before it could be carried out, and the main organizers (including Vesey) were executed. The Vesey controversy created animosity throughout the South, and the church was burned to the ground by angry whites. AME members were forced to meet underground until they could rebuild the church after the Civil War. Pay special attention to the altar, pews, light fixtures, and communion railing—all of which are original features of the AME Church and have not been altered since its creation. Gaze up at the towering steeple that was constructed under Rev. L. Ruffin Nichols after a deadly earthquake in 1886. 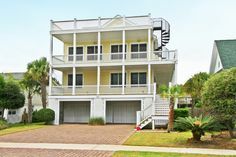 Located in Charleston’s Downtown neighborhood on Hassel street is the Kahal Kadosh Beth Elohim (KKBE). It is the fourth oldest Jewish congregation in the country and the oldest synagogue in continuous use. 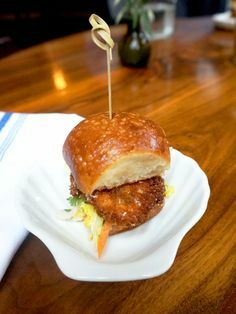 Charleston’s reputation for religious tolerance in the late 17th century had attracted many Jewish congregants to the area and by 1749, their numbers had grown enough to create their own congregation, Kahal Kadosh Beth Elohim, (Holy Congregation House of God). In 1792, an elegant, Georgian style synagogue was constructed, but the great Charleston fire destroyed it in 1838. The synagogue was rebuilt in 1840 on Hasell street in a Greek Revival style and is still in use today. The KKBE offers walk-in tours led by their knowledgeable docents, who will show you the historic Sanctuary and share their story. The Coming Street Cemetery (located a few blocks away from KKBE) is the oldest surviving Jewish cemetery in the South and is worth touring as well. 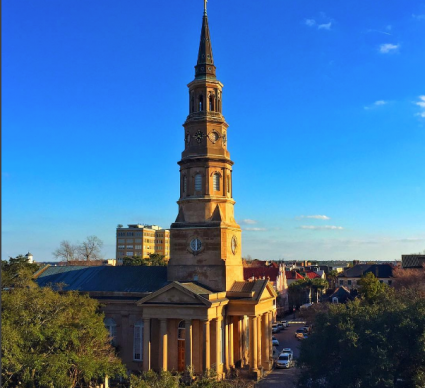 Located in Downtown Charleston on Broad Street, the Cathedral of St. John the Baptist is a magnificent, Connecticut tool-chiseled brownstone structure that can’t be missed. This historic church is also home to the Roman Catholic Diocese in Charleston. In 1821, shortly after taking up his duties as first Bishop of Charleston, Bishop John England decided to purchase land on the corner of Broad street and Friend street (now Legare). The Bishop made plans to build a great cathedral, but did not live to see it completed in 1854. The first cathedral, built by Brooklyn-based architect Patrick Keely, was a Gothic Revival style structure that could seat 1,200 people. Unfortunately, the Charleston Fire of 1861 destroyed the church, and it wasn’t until 1907 when the doors officially opened once again. The new church was nearly identical to Keely’s design, only slightly bigger. The vaulted stain-glass windows will amaze you. Look up at the 14-lancet arched Gothic windows that portray the life of Christ and take in the elegant pews carved from Flemish oak. 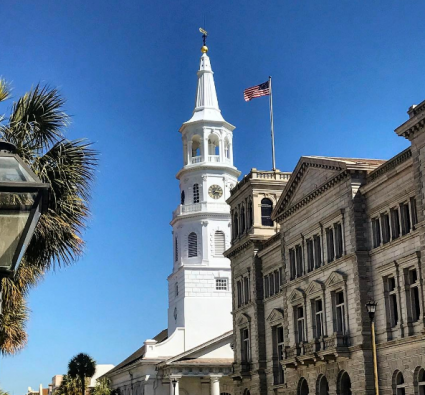 Although plans for a 100-ft spire were never carried out, the steeple is still prominent amongst Charleston’s skyline and makes for a great photo opportunity. Charleston offers many opportunities to explore our nation’s history and the rich story of tolerance and freedom in this country. The stately churches of Charleston reflect a tapestry of traditions and faiths that weave together to tell the story of this unforgettable southern town.